Do you want to outrank your competitors in Google? The Perth Marketing Company believe search engine optimisation is a process of analysis and continuous improvement which leads to higher rankings in the search engines and ultimately more leads and sales. Here’s ten seo tips we’ve learnt that could help you outrank your competitors in Google. Do you reckon Google penalises poorly designed sites? Sites with validation errors. Sites that load slowly. Sites that aren’t mobile friendly. Your competitors’ websites are designed better and their pages load faster. There site is mobile friendly and yours isn’t. Do you agree that assessing these factors and improving them will help close the gap? Fast loading, mobile friendly sites rank higher in the search engines. Do you think the search engines penalise untrustworthy sites? Sites with an inconsistent name, address and phone number. Sites that don’t have Google My Business pages. Sites without legal pages and no contact details. Sites with no customer reviews. Your competitors display a consistent name, address and phone number across the web but you don’t. They’ve set up their Google my business page and social pages and you haven’t. They have about us, contact us and legal pages but you’re missing some of these. They have many 5 star customer reviews but you have no customer reviews or bad reviews. Do you agree that adding these trust indicators will help? Trustworthy sites rank higher in the search engines and visitors are more likely to stay on site longer. Do you know Google penalise sites with high bounce rates? Bounce rate is when visitors to a website arrive and then immediately hit the back button. Your competitors have performed better keyword research. They’ve targeted longer tail, buyer keywords that convert better. They’ve done a better job of matching the content on their pages to the intent of the search query. Do you know you can analyse the keywords your competitors rank for? 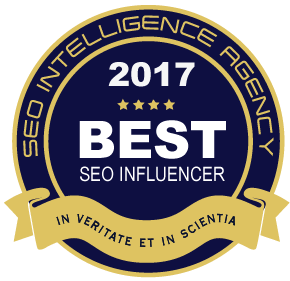 If they outrank you, will you check out their Web pages to see how they’re matching keywords to user intent. Sites that match keyword research with user intent rank better and have lower bounce rates. Do you know that Google rely heavily on the tags and html on your site? Keywords in title and description tags are most important. Keywords in headings and bold html tags come next. Images should also be tagged with keywords. Your competitors have written better title and description tags that get higher click through rates. They’ve optimised the html on site. They’ve also optimised their image tags, including geo targeting. Do you think improving your meta, html and image alt tags will improve your Google rankings? Optimised tags result in higher click through rates and better search engine rankings. Could you tell if a web page hasn’t been optimised correctly? Keyword stuffing. No outbound links to authority sites. No subheadings. No use of images and video. Broken links. Your competitors have done a great job optimising each page. They’ve included the main keyword in the title, description and body copy. They’ve linked out to authority sites. They’ve broken the content into sub headings. They’ve used properly optimised images and embedded relevant videos. Do you agree that optimising your pages could improve your ranking? Optimised web pages rank higher in the search engines. Does it irritate you when websites are structured badly and have poor navigation? The biggest impact is on bounce rates, user engagement and time on site. Your competitors have simple navigation that’s easy to follow. Web pages are laid out in silos. There’s good internal linking to the most important pages. Could you improve your site structure and navigation? Sites that are structured well and have user friendly navigation have lower bounce rates, higher user engagement and users spend longer on site. Do you think Google can identify bad content? Content that isn’t easy to read. No headings or subheadings. Long sentences. Your competitors have appealing headlines and introductions that draw the reader in. They use short, punchy sentences. Their content is informative, nicely formatted and easy to read. Do you agree that excellent content is exactly what Google are looking for? Great content improves bounce rates, time on site, engagement, conversion and search rankings. Do you know that Google will rarely send their spiders to index your site if you never update it? No new blog posts. No new articles. No new photos or videos. Not even minor changes. Your competitors regularly update their site with interesting news. They share these updates on their social media sites. Do you agree that adding new content and sharing on social media is important? Sites that are updated often are indexed in Google faster, rank for more keywords and get more varied traffic. Do you know that one of the most important factors for local SEO is citations? Basically when another site references your site. For example, a listing on yelp.com. Your competitors have more citations than you. They’ve taken the time to manually add additional information to these citations. Do you agree that if you have more citations than your competitors then you have a better chance of outranking them? Local sites rank better if they have lots of high quality citations. Do you know that Google penalises websites trying to game their algorithm through unnatural link building? Low quality spammy links. Blog networks. Paid links. Anchor text over optimisation. Your competitors have formed better relationships. They have more relevant high quality links from respected industry authorities. Do you agree that seeking out high quality links can improve your ranking? Sites with the most high quality links rank higher in the search engines. Well there you have it, that’s our ten tips for analyzing your competitors. These tips highlight the importance of analysis and continuous improvement which leads to higher search engine rankings and ultimately more leads and sales. Are you interested? If you’d like us to assess your competition or prepare a quote for our monthly SEO service please contact us.